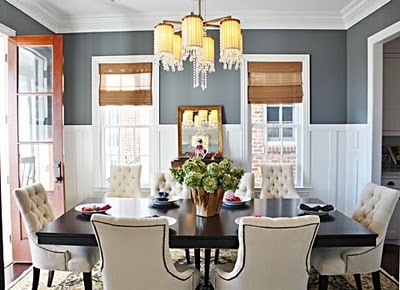 I'm sharing some more inspiration from my "Wish List" file today--this time with the dining room. 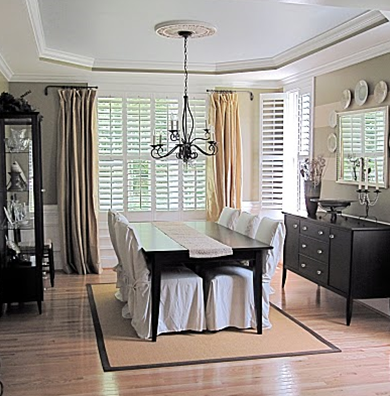 If you haven't seen the before and after of our dining room in this house, you can check it out here. 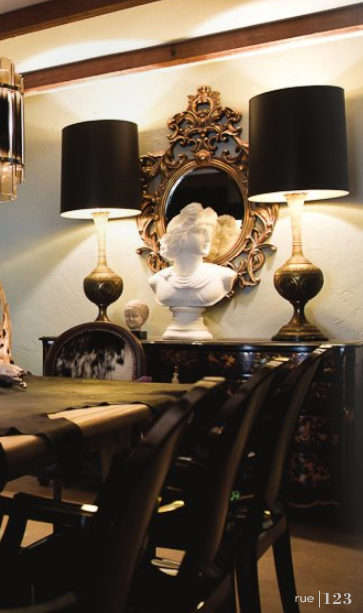 While I love our dining room, I do wish to change/add some things to our next one... here are a few ideas I've stashed away for our next place. I love this color. It's called Fairview Taupe by Benjamin Moore. Board and batten. Green hydrangeas. Crystal chandelier. Woven blinds. I love it all. 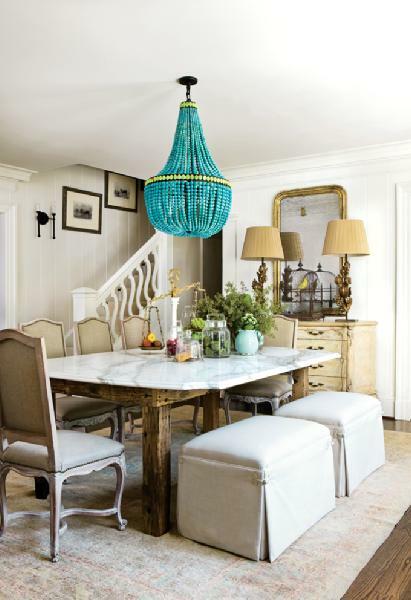 While I adore the chandelier and marble top table, it was the benches that caught my attention in this one. Thinking of turning my thrift store lamps into something like these. The silk draperies, the striped wall, the recessed ceiling and medallion...all make up a contemporary traditional style that I love. And our table and chairs are almost identical to these!